This is a Church of England Primary School. As such, its ethos derives from the Christian Gospel. In all that it does or aspires to achieve, the school is informed and strengthened by Christian belief and practice. At the heart of the school's ethos is the conviction that God loves each person: that God desires the best for each person; that God longs for each person to develop their potential as human beings. In accordance with the Ethos Statement, our school will aim to provide high quality education to the children of the local community within a safe, happy and stimulating environment. 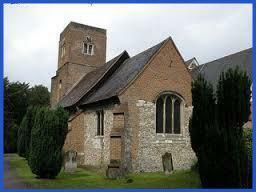 Malden Parochial Church of England Primary School has very close links with our local church, St John the Baptist. Every Wednesday, we welcome members of the the ministry team to take Collective Worship. Once every half term we also have a Eucharist service in the school hall. Throughout the year special services are also held at St. John's including Advent, Easter, Ascension Day and the Year 6 Leavers' Service. St John’s is the Parish Church of the ancient parish of Malden – roughly the northern half of Worcester Park and New Malden south of the A3. As such it has strong links with Malden Parochial School. The Sunday congregations are large and there is a good mix of ages; the children’s work at St John’s is growing and there is a professionally run crèche on Sunday mornings. Our acts of worship range from the quiet and reflective to the colourful and lively. During the week there is a good range of activities largely based in our church extension or in the church hall on Malden Road. Details of all of this can be found on our website. In terms of our belief and practice we take a liberal position on many of the issues which Christians sometimes argue about. But St John’s is there to serve the whole Parish: people of every religion and of none. Our vocation is to be of Christian service to everyone who lives here: to those who believe and to those who cannot believe. We hope that all the children, parents, staff and governors of Malden Parochial School will make full use of what we have to offer in the name of Christ.